Some sites are very quick to survey. Unfortunately this isn’t a good thing. It’s quick only because there are literally NO LICHENS to survey. 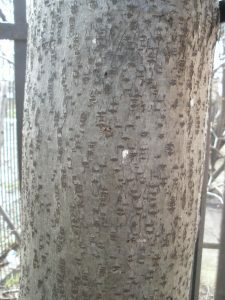 Trees surveyed in this area are bare of lichens probably due to both historic and current high levels of air pollution, which negatively effect the natural distribution of lichens. In the past air pollution was mainly caused by the burning of fossil fuels such as coal and oil creating sulphur dioxide and nitrogen oxides. Sulphur dioxide levels have fallen dramatically over the past 30 years due to the Clean Air Act, but today despite efforts to futher reduce emissions from motorised vehicles, the sheer amount of traffic on the roads, means we have localised hotspots of high levels of air pollution in the form of nitrogen oxides, ozone, particulate matter and carbon monoxide. Fortunately I haven’t surveyed too many sites which consist of trees which have literally bare, or green algae covered bark. And it is worth noting that literally within meters of this site are trees which do have lichens on. This could be because of the positive effects of surrounding trees buffering the impact of air pollution, or because the pollution impact is reduced even from a short distance away from the source of pollution – in this case a busy road junction. 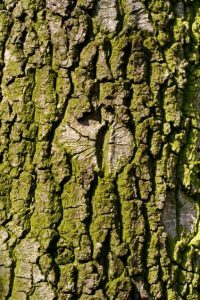 What is certain is that there are a range of compounding factors which come into play when looking at the natural distribution of lichens in any environment. 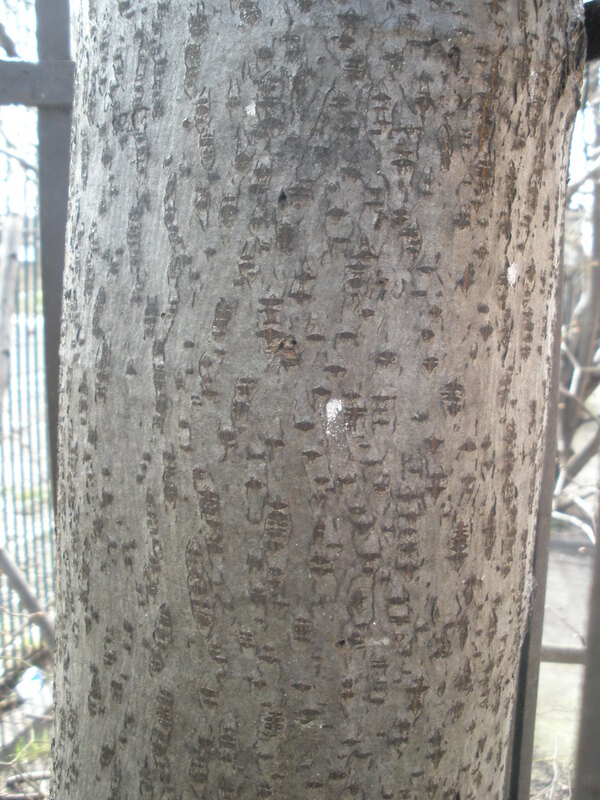 Bare bark as a result of air pollution? For surveying purposes each tree at the site is carefully double checked to make absolutely sure that no newly colonising minute lichen thalli (- the vegetative tissue of a lichen) are missed. 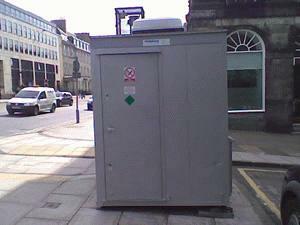 To find out more about Scottish Air Quality click here. 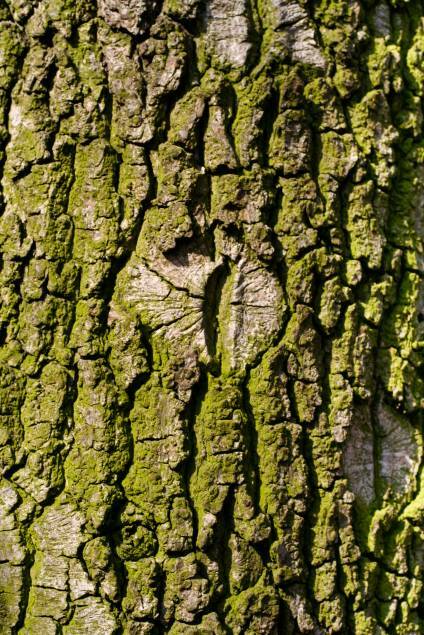 To find out more about Lichens and air pollution click here.